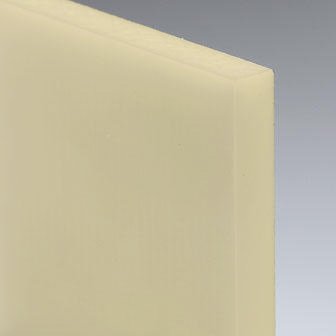 The characteristics of this cast nylon grade come very close to those of Sustamid 6G. Its Nylon production method (direct polymerisation in the mould) offers the possibility of manufacturing large-sized stock shapes as well as custom castings which require only minimal machining. Sustamid 6G is used for a wide range of industrial components both for Original Equipment Manufacture and maintenance. Some examples: sleeve and slide bearings, wear pads, support and guide wheels, conveyor rollers, tension rollers, tension rollers, sleeves for wheels and rollers, pulleys and pulley linings, cams, buffer block, hammer heads, scrapers, gear wheels, sprockets, seal-rings, feed screws, starwheels, cutting and chopping boards, insulators, etc.